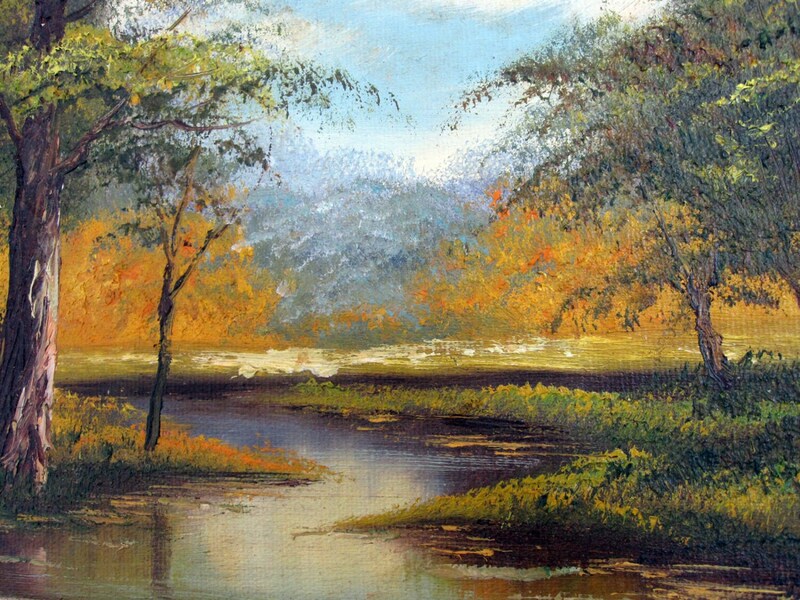 Natural woodland scenery of river, mountains, forest. Beautiful amber yellow, gold, and green colors. Very intricate art work with attention to the finest details. 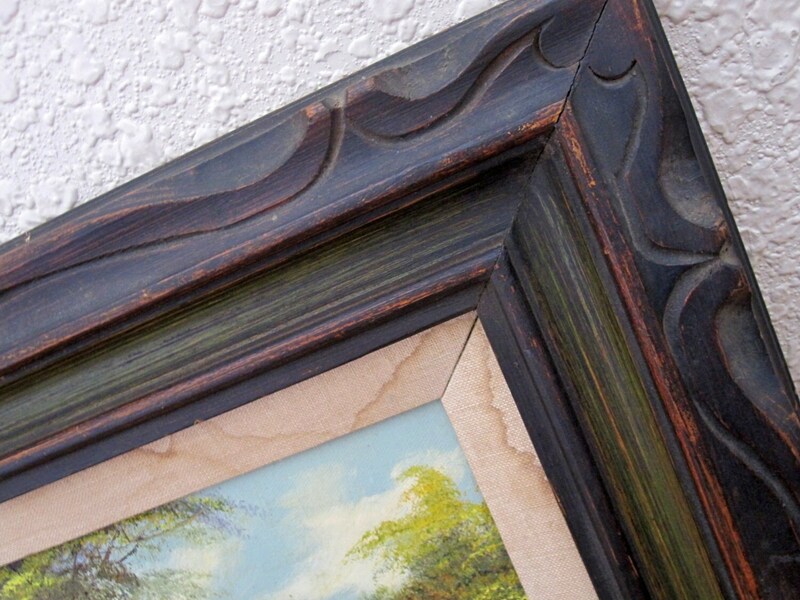 Ornate wood frame and ready to be hung up. 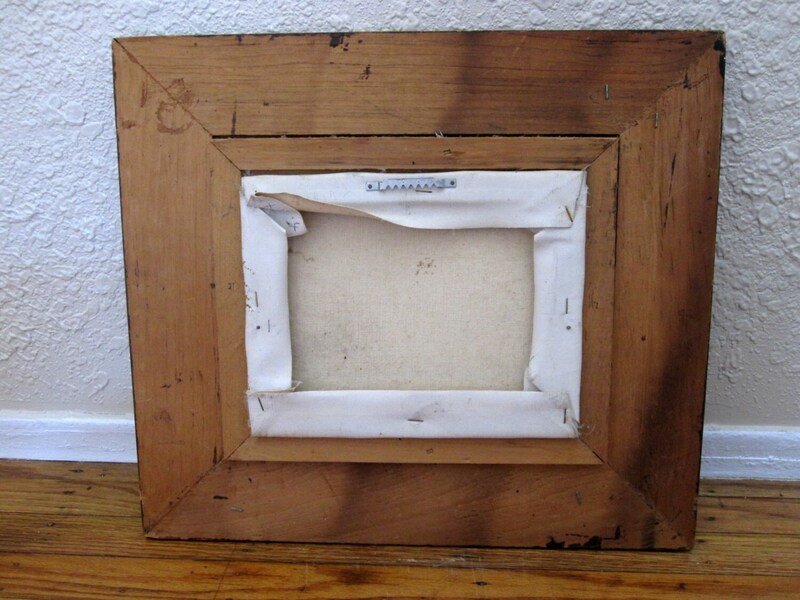 Age of the art piece is difficult to tell but appears to be quite old due to the natural wear on the frame, canvas, and the assembly of the back. 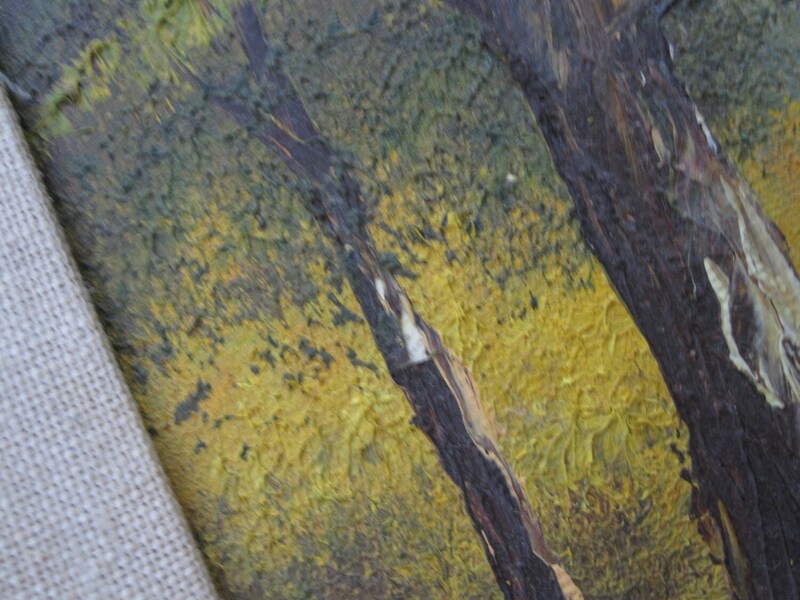 Canvas exhibits some discoloration and water spots. Slight nick on the painting as shown on the last photo. 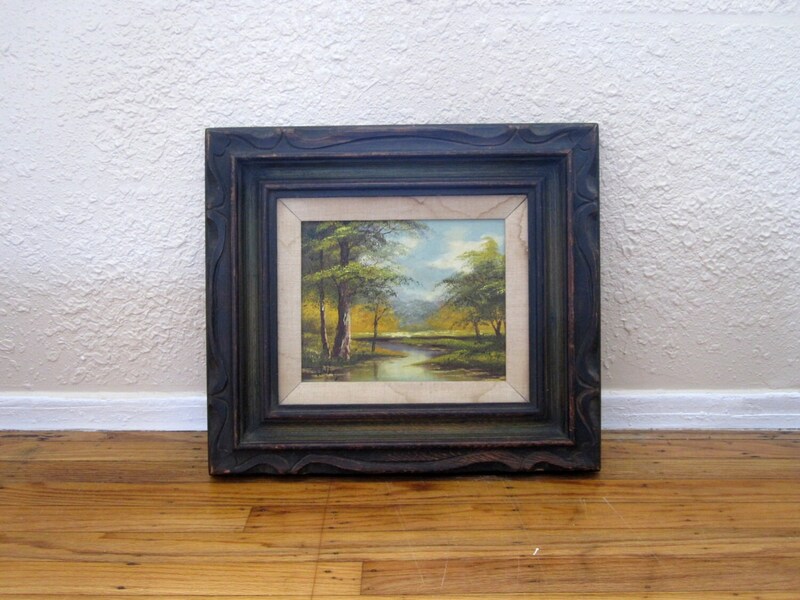 Authentic painting signed by Wall (I could not make out the entire signature, but the first four letters appear to be Wall).